Prof. Tatsuo Ido (Gachon University) will present our Sunday evening President’s Award lecture on how pioneers require a spirit of determination and challenge: milestones of PET radiopharmaceutical development. Prof. Ido is the Chaired Professor and Director of Theragnostic compound R&D center, Neuroscience Research Institute, Gachon University ( Republic of Korea) and Emeritus Professor of Tohoku University (Japan). He had completed his PhD. of Pharmaceutical Sciences at Graduate school of Tokyo University (Tokyo, Japan) in 1970. He has investigated in PET radiopharmaceuticals in near 50 years at National Institute of Radiological Sciences ( Chiba, Japan), Brookhaven National Laboratory (Long Island, USA) and Tohoku University (Sendai, Japan). In 1976 at BNL, he had succeeded first synthesis of 18FDG and applied to human brain functional study. Prof. Simon Cherry (UC Davis) will speak on Tuesday morning on Catalyzing the development and use of radiopharmaceuticals with total-body PET. Prof. Cherry received his B.Sc. (Hons) in Physics with Astronomy from University College London and a Ph.D. in Medical Physics from the Institute of Cancer Research, University of London. He is currently Distinguished Professor in the Department of Biomedical Engineering at the University of California, Davis. Dr. Cherry’s research interests focus on the development and application of biomedical imaging systems. Dr. Cherry is a fellow of six professional societies and serves as Editor-in-Chief of the journal Physics in Medicine and Biology. Dr. Cherry was elected as a member of the National Academy of Engineering in 2016 and was elected to the National Academy of Inventors in 2017. Prof. Hank Kung (University of Pennsylvania) will speak on Thusday morning on Development of Radiopharmaceuticals: From Bench to FDA Approved Clinical Application. Prof. Kung is an active Emeritus Professor of Radiology, Perelman School of Medicine, University of Pennsylvania and founder and chairman of the board of Five Eleven Pharma Inc. a small biotech company located in Philadelphia, USA. He has more than forty years’ experience in the field of radiopharmaceutical chemistry research and development. He has published over 300 papers in peer-reviewed journals. He has received numerous awards including: Jacob Javits Award, NIH (1987-1994); Springer Award by European Journal of Nuclear Medicine - Best Paper in Basic Science (1997); Paul C. Aebersold Award, Society of Nuclear Medicine; Investigator (2004); Academy of Radiology Research and Kuhl-Lassen Award, Society of Nuclear Medicine (2013). His research interests include the development of selective radiotracers for in vitro and in vivo studies of CNS functions and tumor metabolic biomarkers. Prof. Fang Li (Peking Union Medical College Hospital) will speak on Monday morning on New Radiolabeled Probes for Translational Medicine. Prof. Stina Syvänen (Uppsala University) will speak on Wednesday morning on Engineered antibodies – new possibilities for brain PET. Prof. Syvänen obtained in 2003 a Master of Science in Engineering at the Faculty of Science and Technology, Uppsala University, prior to her graduate studies at the Uppsala PET Centre. 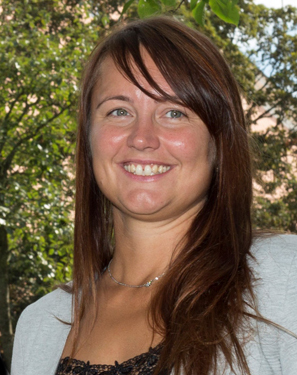 In 2008 she defended her PhD thesis, focusing on PET studies of drug transport across the blood-brain barrier, at the Faculty of Pharmacy, Uppsala University. During 2008-2012 she was a postdoctoral fellow at Leiden University within an EU funded FP7 project, EURIPIDES, focusing on PET radioligand development for epilepsy and Alzheimer’s disease. In 2012, she returned to Sweden as a research associate at the department of Public Health and Caring Sciences at the Medical Faculty at Uppsala University.